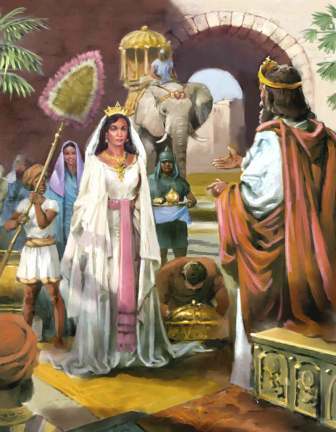 Of all biblical stories, Esther is among the best-known and most retold. There is good reason for this. It is a complete and satisfying tale, with peril and victory, with an underdog who wins, a villain who gets his comeuppance, and a brave, beautiful heroine. Its attraction is enormous, but a curious pattern emerges among the re-tellings. Even while staying faithful to the facts of the story, many re-tellings shift the dramatic and emotional center from Esther and Mordecai to Esther and Xerxes. The story of Esther is commonly told as a romance, but in the Bible, the relationship that matters most is the one between Esther and Mordecai. Esther and Mordecai were cousins, but their relationship is defined by the fact that Mordecai adopted Esther after her parents died, taking her in and raising her. (Somewhat-irrelevant side note: This phenomenon – family members of the same generation but of vast age differences – occurred more frequently in ancient times than in modern, for various reasons.) Mordecai was, in effect, Esther’s father. This relationship drives forward the story: Mordecai’s concern for Esther leads to his vigils at the palace gate, through which he both saves the king’s life and incurs Haman’s animosity; it is Mordecai who explains to Esther (cloistered in the palace) the plot to annihilate the Jews and persuades her to act; Mordecai and Esther together save the Jews and later establish the celebration of Purim. Esther and Mordecai are also at the heart of the story’s spiritual and emotional power. Esther commands the fasting and prayer in preparation of her bid to save the Jews; Mordecai makes the immortal statement that she became queen “for such a time as this.” It is their lives, their family, and their people brought beneath the shadow of ruthless slaughter. It is their relationship – and emphatically not the relationship between Esther and Xerxes – that is demonstrated to be one of mutual affection: Mordecai walked in a courtyard of the palace every day to find out how Esther was after the king’s officials took her; Esther was “in great distress” at the news of Mordecai’s distress. Esther’s relationship with Xerxes was, of course, marriage – but marriage to a despot of ancient Persia, and that is a very qualified thing. He practiced, and pretended, no sexual fidelity toward her; consider that he slept with all her rivals for the queenship and then kept them as concubines within his palace. It is evident, too, that Xerxes and Esther didn’t really live together. They only visited at such times when Xerxes wished it – and he could go whole months without wishing it. No detail more sharply illuminates their relationship than the fact that Esther was deathly afraid to go to Xerxes without his summons. In the pivotal moment, Xerxes treated her with regard, but to the end their interactions were those of an absolute sovereign and a favored inferior. Esther was Xerxes’ queen more than she was his wife (though that also, to be fair, had its privileges). It should be noted, too, that Xerxes was an alien to the spiritual concerns of Mordecai and Esther and wholly safe from the death that threatened both of them. Xerxes is an ambivalent figure at best, and a hero on no consideration. Why, then, do interpretations of the story so often fix on the supposed romance between Esther and Xerxes? The answer is simple, a truth that has long frustrated readers who prefer fantastical stories: People would rather hear about romance. To many people, a romantic relationship – even one as distant and asymmetrical as the marriage of a Persian despot and his queen – is inherently more interesting than a father-daughter relationship, even if it saves a nation from genocide. The Nephilim walked into history in Genesis 6:4, which runs, “The Nephilim were on the earth in those days—and also afterward—when the sons of God went to the daughters of men and had children by them. They were the heroes of old, men of renown.” The Nephilim are mentioned once more, as the terrifying inhabitants of Canaan (in reality, the ancestors of the prodigiously-sized Anakites; whether they have any connection with such groups as the Rephaites is more than I can say). The actual importance of the Nephilim, in theology, religion, and the arc of the Bible’s narrative, is slight; their fascination is large. Their close connection to the much-disputed “sons of God” entrenches them in controversy; their association with the outsized denizens of Canaan increases the intrigue. 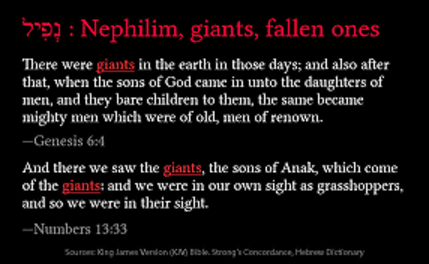 Their name means “fallen ones,” and Nephilim is frequently translated giants, including in such venerable translations as the King James Version, the Geneva Bible, and the Wycliffe Bible. (The Geneva Bible also provides the alternate word tyrants.) Giants, fallen ones, heroes of old, men of renown – wouldn’t you love to know more about them? One ancient, and still popular, interpretation of the Nephilim – it appears in the Book of Enoch, written before the birth of Christ – holds that they were the children of fallen angels and human women. For obvious reasons, this interpretation is the one that prevails in Christian speculative fiction. It’s not that the writers necessarily believe it, any more than sci-fi writers necessarily believe that it’s possible to go back in time or to travel faster than the speed of light; it’s just that it’s that sort of idea. The idea is acutely uncomfortable. But ideas often are in a genre that takes, for its parents, people like Edgar Allan Poe and the Brothers Grimm. What sets the Nephilim apart from other ideas is that they are derived from the Bible. Nobody really cares whether it’s possible to go back in time when reading (or writing) time-travel stories. Nobody ever liked Star Wars less because some scientist debunked lightsabers on the grounds that that’s not how lasers work. We’re all happy to set aside debates and, for the sake of our chosen stories, presume what we suspect to be false. But should we have a different standard when the debates are centered around Scripture? What do you think? What sort of lines have you drawn, in your reading or writing? Show me a person who thinks that the Old Testament is only tales for children, and I will show you a person who hasn’t read the Old Testament. I am not referring principally to the fact that a lot of material in the Old Testament isn’t exactly family-friendly, though that is true. The larger point is that the Bible has far beyond enough to challenge and satisfy a grown-up intellect. Even the stories, the straightforward part of the Old Testament, hold more complexity and depth than is quickly unlocked. And you know at once that it was kind of them, but there is more beauty here than is readily apparent. Jabesh Gilead played another, much earlier role in Saul’s story. His first true act as king was rescuing the people of Jabesh Gilead from an invader who had planned, after conquering the city, to gouge out the right eye of every man in it. Most debts are forgotten after forty years, but the men of Jabesh repaid the debt of the kindness Saul had shown them. Saul’s bread finally returned to him on the waters. 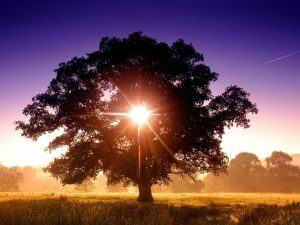 There is poetry in the fact that Saul’s reign, which began with him showing kindness to Jabesh Gilead, ended with Jabesh Gilead showing kindness to him. And it is all the more poignant because it is the last word in Saul’s story. There are few stories in the Bible darker or more tragic than Saul’s – the long descent, into murder and insanity and futile clawing to keep what God had given away. He had the peculiar torture of knowing the truth and not being helped by it. His last few chapters are filled with horror and despair, with the sense of being finally rejected by God and going helplessly into the end. And then, to finish the story, the brave gratitude of the men of Jabesh – an act that looked wistfully back to a better past, a repayment of an old, old good deed that murmurs that Saul hadn’t wasted quite everything after all. It is not redemption, not so little and so late. But it is a note of grace, at the very end. More than just a coloring book, this inspirational activity book will help you relax, unwind, and enjoy some creative fun while hiding God’s Word in your heart. The 35 separate verses and passages are printed in colorable word art with decorative borders, blank on the back to make them easier to remove and frame or display, if desired. Each one is accompanied by two different activities or puzzles featuring the verse or key words from it. Hide it in Your Heart is an ideal Scripture memorization aid for Christian schools, homeschool programs, Sunday schools, or your own personal use. Children and adults will enjoy learning, practicing, and meditating on these artistically presented verses from the New International Version Bible. Proceeds from the sale of Hide it In Your Heart will be donated to www.Christar.org to help provide a translation of God’s Word for a particular people group in East Asia who do not yet have the Bible in their own language. Here are a few sample coloring and activity pages from Hide it In Your Heart. If you’d like to color them or complete the word puzzles, click on the link to access a PDF that you can download and print. Hide it In Your Heart is available in paperback on Amazon. Click here to order your copy for $8.99. HOWEVER, you can get it for 15% off if you order it here on CreateSpace with coupon code JZBVVBH8! The code can be used an unlimited number of times and will not expire, so feel free to order as many copies as you like for family and friends. 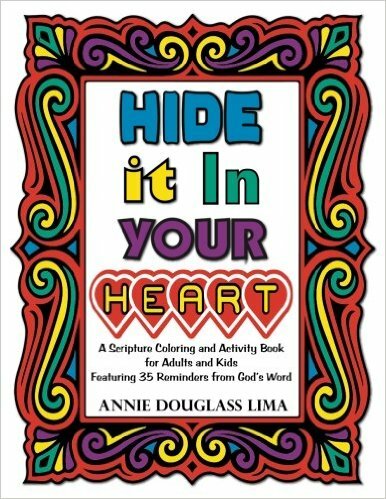 Hide it In Your Heart makes a great gift for anyone who enjoys word puzzles, coloring, or God’s word! You’re welcome to share the code with others, too. Annie Douglass Lima spent most of her childhood in Kenya and later graduated from Biola University in Southern California. She and her husband Floyd currently live in Taiwan, where she teaches fifth grade at Morrison Academy. 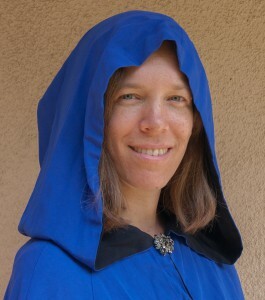 She has been writing poetry, short stories, and novels since her childhood, and to date has published thirteen books (two YA action and adventure novels, four fantasies, a puppet script, five anthologies of her students’ poetry, and a Scripture coloring and activity book). Besides writing, her hobbies include reading (especially fantasy and science fiction), scrapbooking, and international travel. It is natural – perhaps even inevitable – that the Bible inspire its own small genre of literature: biblical fiction, novels based on the people and events of the Bible. This idea has always appealed to me, but in reality, such novels have usually left me disappointed. I have read only two biblical novels that struck me as truly superior, and perhaps two others that came close. All the others I have read – and I read a fair number, before I conceded to the odds and gave up – ranged from poor to forgettably good. As a genre, biblical fiction has its own peculiar challenges. And perhaps, as a reader, I make more demands of it than others would. Here, after reflection, are my three rules for biblical novels. Fidelity to the Bible. The definition of fiction is that it is fictional; in accepting biblical novels, I accept their fictional element. I know the difference between a historical novel and a biography, between a movie based on a true story and a documentary about a true story. It doesn’t bother me that someone should write a historical novel of scriptural events, a story based on the true stories of the Bible. But the fictional element should consist in elaborating on the true stories, not in changing them. Biblical novels should remain true to the Bible – not just in facts or events, but in its whole spiritual tenor. Convincing and compelling elaborations. A biblical novel takes a story told in a few pages – sometimes only a few paragraphs – and tells it again in a few hundred pages. This requires significant elaboration. The elaboration must be true to the story, as I already said – keeping with the spirit as well as the letter. But it must also be compelling. I have read biblical novels where characters stiffly act out their parts, without the sense of life and independent animation that, while always false, is the art and pleasure of the novel. Sometimes the elaboration falls flat, and of events as well as characters. This is one of the peculiar difficulties of biblical fiction (though a similar one is found in, of all things, franchise novels). When writing a novel about the great men and women of the Bible, your portrayal must ring true with what we already know, and yet go beyond it. You must give life to characters you did not invent, rhyme and reason to events you did not choose. So may all biblical novels impress us. Fidelity to history. 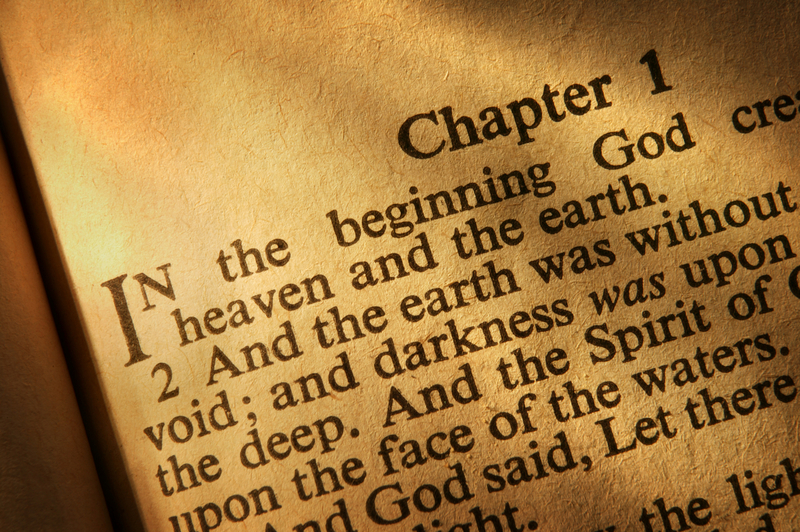 Biblical fiction must be regarded as a kind of historical novel, and therefore must be written with an eye on history. Canaan at the time of Gideon is a sketchier region of history than, for example, first-century Jerusalem, but do the research anyway. I once read an author describe how she quit reading a novel about Joseph because of the appearance of steel knives. I wouldn’t go that far, and anyway it’s not relatively minor anachronisms that principally concern me. It’s the failure to make characters – inhabitants of places and of cultures so alien – children of their times. One example: It is hard to find a novel about King David where a character does not outright state the superiority of monogamy. Now, David’s life does demonstrate the griefs of polygamy, and I yield to no one in condemning the selfishness and injustice of that form of marriage. But I always wonder at the casual condemnations of characters supposedly living in David’s world – would it really be so easy for them to see? “It requires a fine effort of the imagination,” G. K. Chesterton once said, “to see an evil that surrounds us on every side.” And the evil of polygamy surrounded such people on every side. I don’t say it is impossible for one of them to see it as an evil, but I want to know how a flower like that grew out of such thin soil. At least I want the impression that it did grow out of thin soil. These, then, are my three rules for biblical novels: fidelity to the Bible, fidelity to history, and compelling and convincing elaboration of both. I know it’s a tall order, but there are novels that deliver. Such as the two I referenced earlier. These are The Miracle Maker, by Murray Watts, and The Stones, by Eleanor Gustafson. Just in case you were curious. The only time a dragon appeared by name in the Bible was in the dizzying visions of Revelation. But if you go by description and not only names, dragons appear in the Old Testament also. you broke the heads of the monster in the waters. and gave him as food to the creatures of the desert. he will slay the monster of the sea. “The great dragon” is also called “that ancient serpent” – and indeed, John uses serpent interchangeably with dragon near the end of Revelation 12. It is common to see dragons portrayed as good in modern Christian fantasy. Yet the Bible symbolizes Satan with a dragon and calls the dragon-like Leviathan a monster. I will begin by admitting that if Scripture uses a dragon as a symbol for Satan, it is because something in the nature of dragons corresponds to something in the nature of Satan. Allegories and symbols, similes and metaphors are all based on a real likeness. But not a complete likeness. That is the other side of the coin. The Apostle Peter famously wrote that the devil “prowls around like a roaring lion looking for someone to devour”. And for all that the devil is like a lion, Jesus Himself is called “the Lion of the tribe of Judah”. The lion as predator – brutal and devouring – resembles Satan, but the lion as the king of the beasts – strong and majestic – resembles Christ. Satan may be an ancient serpent, but serpents are not all bad. To think that Satan’s representation as a dragon is a commentary on the intrinsic evil of dragons ignores both the logic of symbolism and the richness and diversity of Scriptural imagery. Perhaps it ignores, too, the truth that since God is the Creator of all things, nothing is intrinsically evil. living things both large and small. and Leviathan, which you formed to frolic there. Gentle – and also mighty. Like the lion laying down with the lamb, gentleness and strength may be the truest nature of Leviathan, and even of dragons. A few months ago, the CSFF toured Eye of the Sword. The book’s “angels” set off discussions as to what angels really are and if the beings in Eye of the Sword merited the name (you can guess, by the quotation marks, where I came down on the question). Now, for Angel Eyes, I would like to consider different aspects of the angels’ portrayal and what foundation they have in Scripture. Angels are sometimes female – From the Victorian era onward, much of angel iconography has been of beautiful women with wings. Some Christians have said, in reaction, that all angels are male. This is not quite the whole truth. All angels shown in the Bible are male. But, as Donald Rumsfeld once said, “Absence of evidence is not evidence of absence.” The fact that the Bible does not prove the existence of female angels is not itself proof that no female angels exist. I will, then, classify Shannon Dittemore’s use of a female angel as “speculative”. Angels have wings – Ezekiel, in his extraordinary call to prophethood, witnessed the four living creatures – cherubim, with four wings. Isaiah, in his commission, saw seraphs with six wings flying around God’s throne. Daniel wrote that Gabriel came to him in “swift flight”. The four-winged angels of Angel Eyes are, then, a mixture of the Scriptural (at least some angels have wings) and the speculative (we do not know that all have wings, or any beside the cherubim have four wings). Angels have halos – Ah, no. This is another idea about angels we derive from art and not from Scripture. But since the Bible never counters the idea, it comes under “speculative”. Angels are beautiful (and demons are hideous) – As far as I can recall, the Bible says nothing about the appearance of demons. Angels are sometimes described – the four living creatures in great detail. They made a strong impression on Ezekiel; I daresay they would make a strong impression on all of us. I cannot do justice to the description of the cherubim in Ezekiel 1 and 10; I will only mention the premier facts: the cherubim had four wings, four faces, forms like a man’s, feet like a calf’s, and were covered with eyes. I am sure that if we ever saw the cherubim, merely aesthetic beauty would fall into its true insignificance, but no one will consider this description one of beauty. The appearance of angels often had a kind of radiance. When the angel appeared to the shepherds, “the glory of the Lord shone around them.” Of the angel who rolled the stone from Jesus’ tomb, we are told, “His appearance was like lightning, and his clothes were white as snow.” When the women went to the tomb, they were met by men in “clothes that gleamed like lightning”. Jesus Himself said that He would return in His glory, and the glory of the Father, and “of the holy angels”. Perhaps the angels were beautiful, but what most struck those who saw them was light, brightness, glory – and what such people usually felt was fear. Yet I wonder if Christians’ fantasy-novel descriptions are – at least in part – consciously metaphorical. C. S. Lewis wrote that “Devils are depicted with bats’ wings and good angels with birds’ wings … because most men like birds better than bats.” Perhaps Christian novelists portray angels as beautiful, and demons as hideous, for the same reason. So to finally reach the conclusion, Shannon Dittemore’s descriptions are speculative, with a measure of Scriptural truth. C. S. Lewis also wrote that angels “must be represented symbolically if they are to be represented at all.” And it is surely true that if we are to write novels about angels, much of what we write must be speculative. Angels remain hidden from us. I do not mind the speculation, though I believe Christian writers should refrain from contradicting what the Bible reveals to us. And in that, Angel Eyes holds true.